Brad Pitt is putting his kids before his pride. One of the key provisions of the temporary parenting plan he and estranged wife Angelina Jolie put in place September 22 states that Maddox, 15, Pax, 12, Zahara, 11, Shiloh, 10, and 8-year-old twins Knox and Vivienne will reside with their mom. Though spun in the press as a win for Jolie, 41 — TMZ originally reported Jolie got “full custody” — a Pitt insider slams that assessment in the new issue of Us Weekly, noting that the voluntary arrangement is a parenting plan, not a permanent joint custody agreement. In other words, the two continue to share legal custody, as they always have, and she has temporary physical custody. An amicable resolution would have been unthinkable just a few weeks ago. With DCFS investigating his behavior aboard the plane, the social services organization and Jolie’s camp could reasonably restrict his access to the children. And at first, Jolie — who, sources say, disagreed with Pitt’s strict parenting style — caught her estranged husband off guard by quietly filing for divorce just as the courts were about to close. For days, the two discussed with their teams the fine points of the agreement. Pitt “was dealing with this all day, always on the phone with his lawyers,” says the Pitt friend. Jolie, too, had the phone glued to her ear as she paced around her home, according to her friend. Finally, both Jolie and Pitt agreed to the terms. According to multiple sources, the other terms of the plan, which expires October 20, state that the family must undergo counseling, and during Pitt&apos;s first visit with the kids, a therapist will be present. (A Jolie source says further visits may also be monitored.) Pitt has volunteered to undergo random drug and alcohol testing to prove he doesn’t have a chemical dependency. A source confirms Pitt’s first test came back negative. 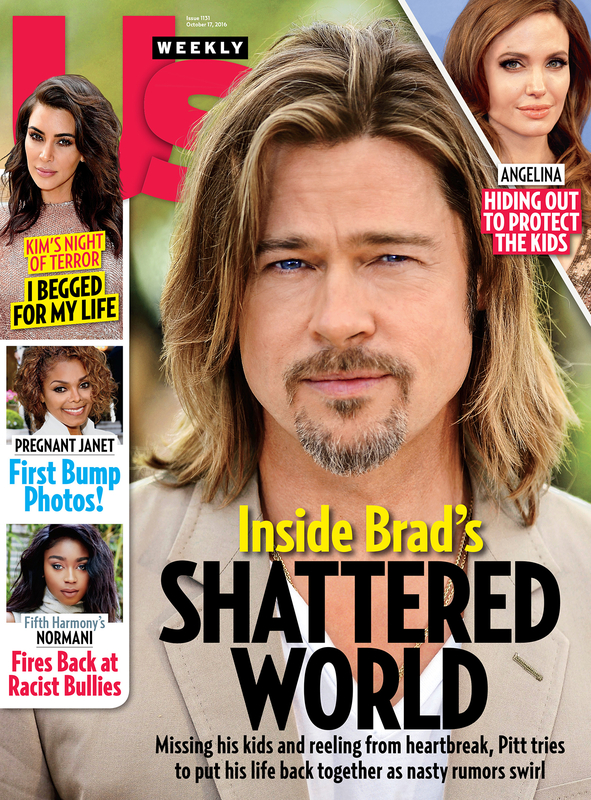 For much more on Pitt and Jolie, pick up the new issue of Us Weekly, on stands now. Christina Garibaldi and Kimberly Rittberg dish on all the latest during Us Weekly&apos;s Facebook Live News Update. Check it out!